Stone International kitchen cabinets impart an all wood construction. Each and every cabinet we offer is composed entirely real wood, either maple or basswood, as well as feature solid wood fronts accompanied by plywood box construction as well. Our cabinets by design contain absolutely no pressboard whatsoever, ensuring a high-quality, reliable, and dependable fixture. The drawer structure of our cabinets by design additionally wield a solid wood construction with dovetail manufacturing. The full extension, heavy-duty glides enable a smooth, full-length drawer travel. We further bolster these cabinet doors and drawers by providing soft close options, and 6-way adjustable hinges. 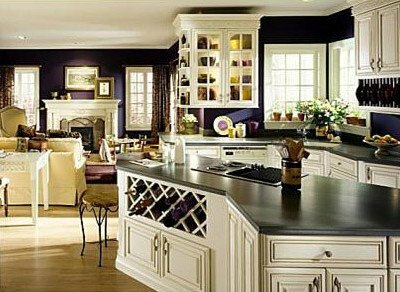 This provides a distinct advantage over cabinets, as soft close doors and drawers keep your kitchen cabinets by design in preeminent shape. With a Stone International cabinet, there is no unwanted friction or rubbing, and you can rest assured that your new fixtures will not splinter or crack prematurely. 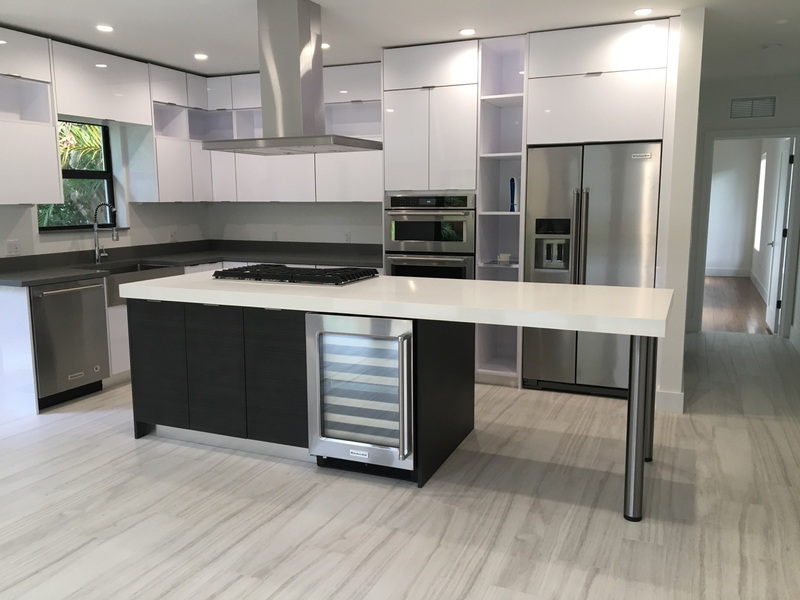 The quality of materials, in addition to the construction we use in our cabinets, is only surpassed by Stone International’s commitment to excellence. We want our customers to experience a penultimate level of customer service while bestowing the best quality products for wholesale, competitive prices. 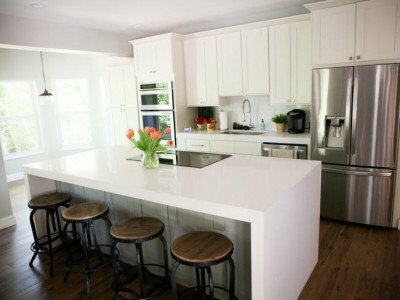 At Stone International, we can offer you wholesale kitchen cabinets by design enabling you to design your kitchen the way you want, and under a budget that you can afford. 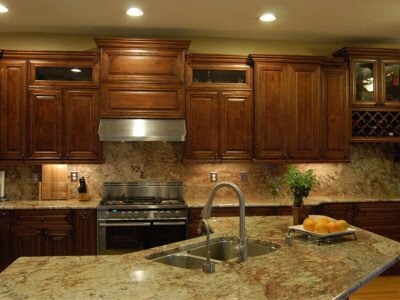 Our cabinets from our classic raised panel to our shaker style kitchen cabinets represent exceptionally popular designs. We provide these favorited products for our catalog-wide wholesale, affordable price. It is getting harder and harder to attain cabinets with quality construction for a reasonable price. It seems like anytime that you find affordable cabinet sets, they impart shoddy, particle board based construction. Our team understands that your home is often more than just a piece of property. It is often your most important asset both financially, and emotionally as well. There is no other room in the home that helps increase these two values in your life. Your family and friends will often plant themselves within your kitchen or living room. Many times, they may occupy both, residing around an adjoining space as integral areas to one another. Although a set of cabinets often represent a fixture within your home, they often become a piece of furniture as opposed to utilitarian faculties were your food and dishes call home. Stone International cultivates our kitchen cabinets by design with this specifically in mind. By enlisting and utilizing our products, you can create a pleasing living space in your kitchen that will last you, your family, and your friends a lifetime. Feel confident that the finish and structural integrity that we provide will hold up under the stresses of everyday use. We commit to offering great kitchen cabinets at the best possible price. 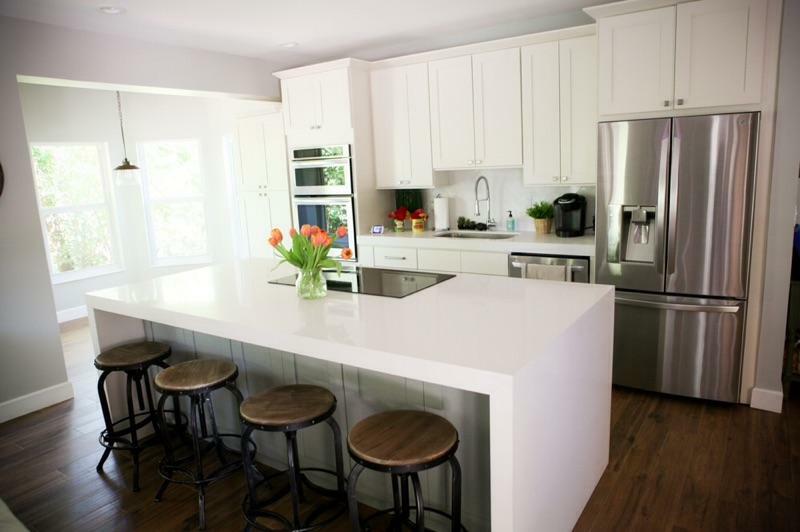 With the real wood (not particle board) construction, you can obtain a beautiful and functional kitchen space you’ve dreamed of without worrying about your wallet, or their durability. In addition to our cabinets by design for the kitchen or bathroom, we also provide a plentiful selection of pulls and knobs as well as bathroom vanities and closets. 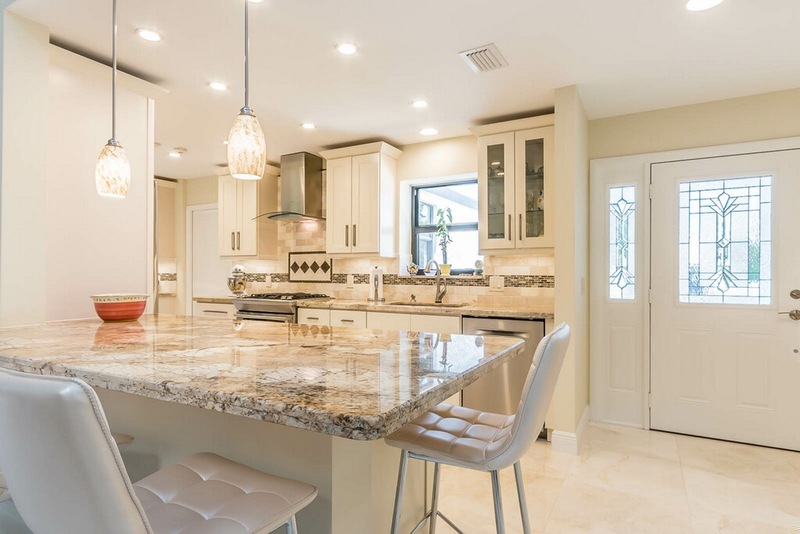 What this essentially means is that if you need a resource for your kitchen remodel, Stone International demonstrates the one-stop shopping destination for your needs. When you want the quality and durability of custom cabinets by design without an exorbitant cost, Stone International is the answer. We seek to bridge the gap between top-quality, expensive options, and low-quality, inexpensive provisions. Our company accomplishes this by offer customers beautiful, durable, and functional, all wood kitchen cabinets at a wholesale price. How can we do it? By cutting out the middleman markup that many cabinet companies impose on their customers by directly importing our own cabinet lines. With Stone International, you can finally design your kitchen precisely the way you want it. You can possess the kitchen of your dreams without sacrificing quality for the best price possible. 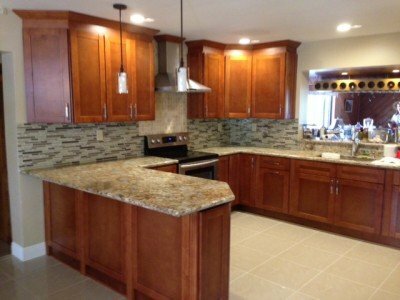 When the bulk of a kitchen remodeling project going into the cabinet fixtures, not to mention their aspect permanence in your home, it is extremely important that your cabinet company gets the job done right the first time. With numerous styles and stains, as well as digital 3-D modeling that allows you to view the product in your home before you buy, you can’t go wrong with the Stone International team. The team from Stone International doesn’t like to look at ourselves as a bunch of carpenters with hammers hanging from our tool belts. 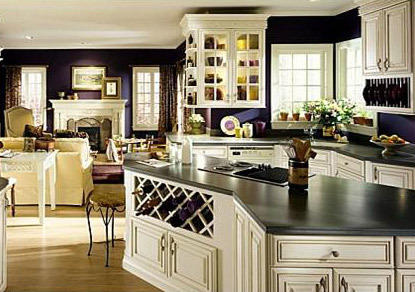 Instead, we prefer to view ourselves as full interior designers, as well as custom kitchen cabinet makers. 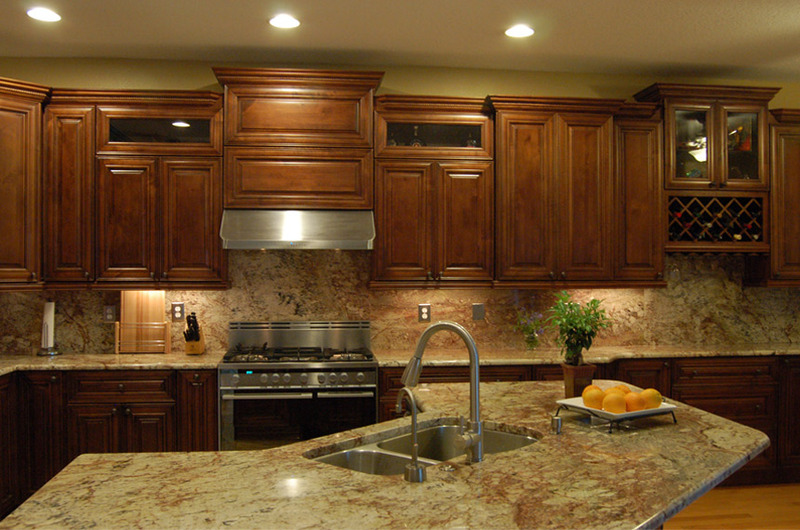 Stone International provides more than high-quality, wholesale kitchen cabinets. 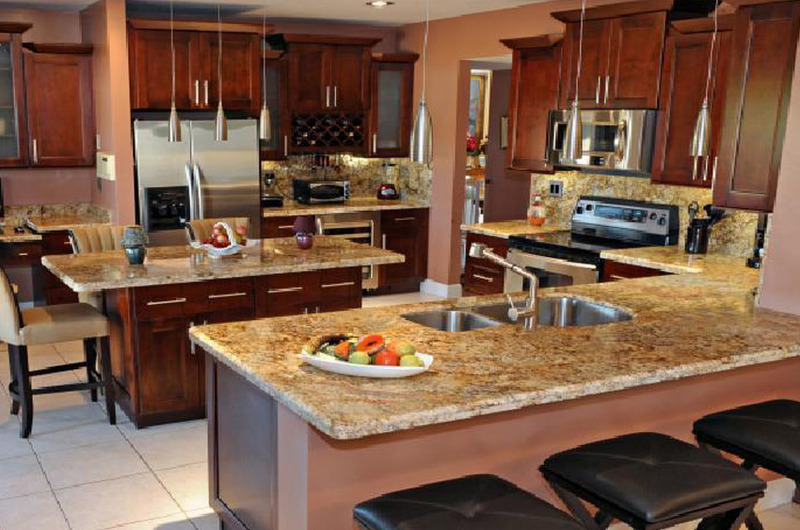 We also specialize in quartz & granite countertops. 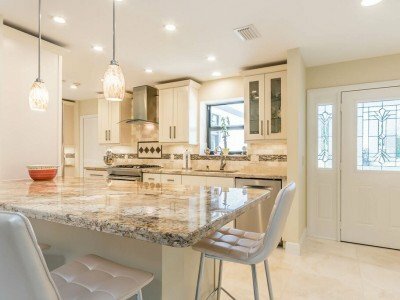 We work with virtually every major stone distributor, in addition to many quartz countertop manufacturers in the South Florida area. 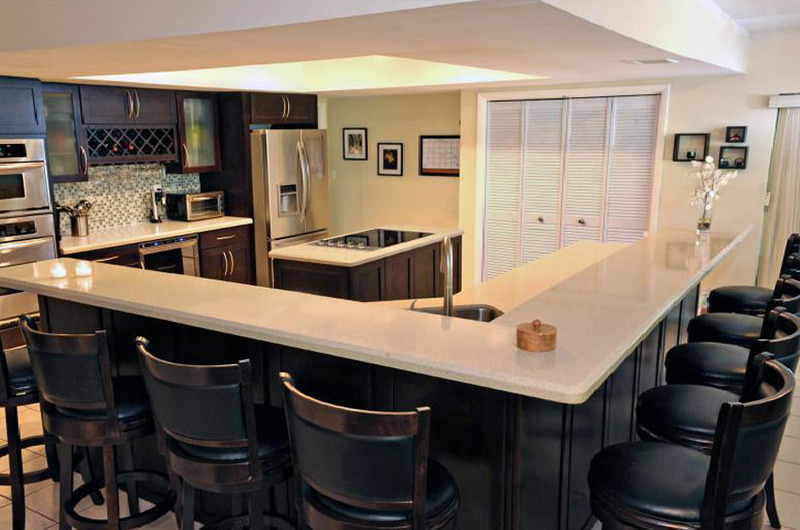 This helps us cut out the middle-man and allows us to offer the best countertops possible in the South Florida area. Our warehouse stocks numerous quartz & granite slabs in both 2cm and 3cm provisions. Our partnership and reputation with South Florida stone distributors aid us in passing savings onto you, in the form of unbeatable prices. 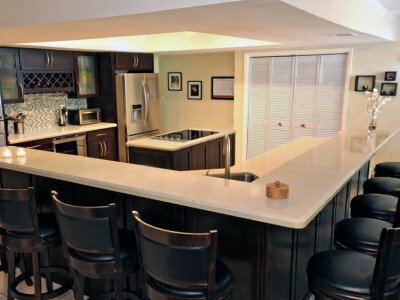 As part of any standard fabrication services, we offer 5 edge quartz and granite installation for absolutely no additional charge! 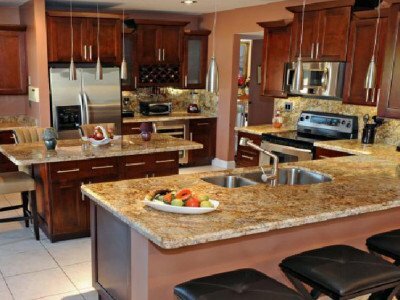 Call (786)-930-4722 for a free, in-home estimate from one of our home renovation experts.